Young people have the ideas and the energy to change things for the better in rural places, and it’s my firm belief that, with the support of us ‘oldies’, they can make rural places a magnate for, rather than a ‘has been’ place for the under 30s. It was this belief that prompted our team to launch the Rural Youth Project earlier this year. Last week we announced the findings from an online survey of 755 18-28 year olds. The information that we gathered is step one in the journey to make positive change in rural places for young people. Despite the interconnected issues of poor transport (78% can’t live where they do without access to a car), poor digital connectivity (64% have poor or no 3G/4G) and inadequate housing (expensive and limited availability), 72% of our respondents feel optimistic about the future. It was this optimism that spawned the idea for last week’s Rural Youth Ideas Festival, the first in the UK and, possibly, the world. It brought together 100 of these young people, from ten countries, to develop their ideas and to start their journey of empowerment to bring about change. Crucially, the Festival was made possible thanks to the foresight and support of our partners, and with funding from Perth and Kinross LEADER. Scotland’s Minister for Rural Affairs and the Natural Environment, Mairi Gougeon, joined us. The minister was in-tune, engaged and passionate about supporting our quest and has signalled her desire to give her assistance to drive forward the actions. The project has exposed another of the hidden truths about rural young people which is that their family or partner are the reason that they live where they do (76%); in my opinion, this emotional complexity is rarely considered by policy-makers. 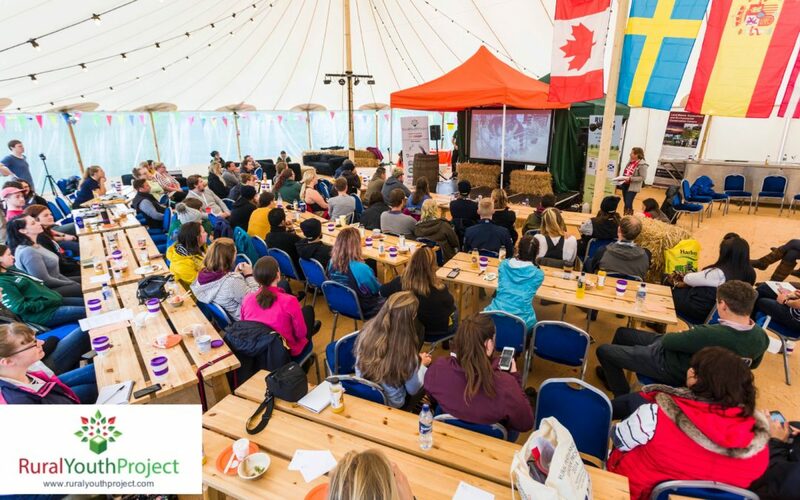 The discussions at the Festival shared many ideas about tackling mental health, improving housing availability, as well as the importance of ‘cool’ businesses in rural places acting as a draw for young people. Businesses and communities that are progressive, marketing savvy and nurturing of young people captivate and keep the under 30s. Jane Craigie Marketing initiated and manages the Rural Youth Project. Jane Craigie is a Chartered Marketer with over 25 years’ experience in marketing within the agri-food sector. She is a member of the executive board of the International Federation of Agricultural Journalists and the council of the British Guild of Agricultural Journalists. Jane is a graduate of the IAgrM and Scottish Enterprise Rural Leadership Programmes, is a Windsor Leadership Alumna and a Waitangi Scholar.